Are looking for the freshest Aloe Vera? Want an Aloe Vera plant of your own? Well you're in luck. 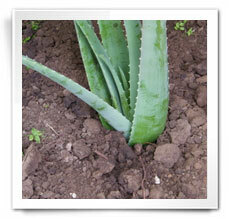 Aloe Farms is now selling fresh certified organic Aloe Vera plants and leaves. We currently grow the Aloe Vera species Aloe Barbadensis Miller. Our plants are 100% organic. We sell newly grown baby Aloe Vera plants. These plants travel the best and are easy to plant and get started. The plant can grow up to two feet high. It is recommended that you bury the plant up to the middle of the plant and water sparingly. 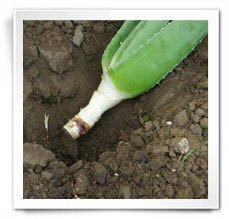 Once planted, the Aloe Vera will need direct sunlight and water once every three weeks. 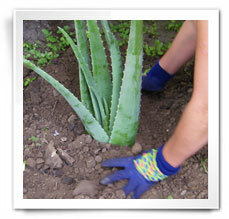 Our Aloe Vera leaves are from our large mature plants. 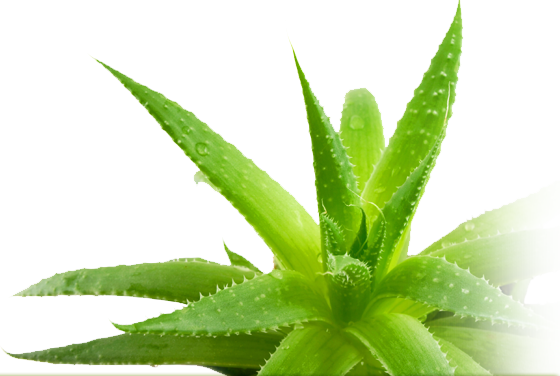 These are the same leaves used to make our Aloe Vera products. Leaves will range in size. They range from two pounds to two and a half pounds. Aloe Vera leaves are good for up to a month if inner fillet is not exposed to air. The leaf will last about a week once the fillet is exposed. Be careful with barbs surrounding leaf. Call 1-800-262-6771 for discounts on large quantities. Environment: Aloe Vera plants require direct sunlight and warm temperatures. During cold weather (temperatures 32 degrees or lower), plants should be brought indoors or covered. Moderate watering is required (once every 3 weeks). Do not overwater your Aloe Vera plant. 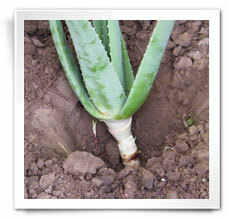 Dig a hole or prepare a planter that will cover half the height of the Aloe Vera plant. This will ensure the plant will be anchored. The bottom row of leaves will emerge when the plant has rooted itself. Make sure the soil provides good drainage (sandy or rocky soil is best). Over watering can easily kill a young plant.